Tencent America is the US branch of Tencent, a leading provider of Internet services in China. Among the key areas are investments, gaming, artificial intelligence, cloud services, entertainment, and internet services. Some of our partner companies and brands are WeChat, QQ, Tencent Cloud, Activision, Epic Games, Halfbrick Studios, King, and Riot Games. Our US headquarters is in Palo Alto and we have other offices in New York, Los Angeles and Seattle. Our growth strategy is focused on attracting the best people and creating an amazing work atmosphere that balances the energy of a start-up with the resources of a global innovation leader. As a Chinese company which is pursuing new markets and growing rapidly in the US, we maintain an entrepreneurial spirit and open mindset. If you are eager to do groundbreaking work in a friendly, cross-cultural environment, we can provide unparalleled stability, resources, access to more than a billion users, and an international perspective. 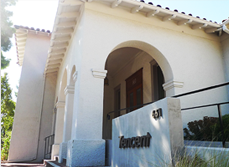 If you—like us—are ambitious and self-driven, we invite you to explore Tencent America. Copyright @ 1998 - 2018 Tencent. All Rights Reserved.